Sternberg Law Group offers legal guidance to people in California who are struggling to cope financially through Bankruptcy Law and Foreclosure Assistance including Short Sales, Bank Negotiations, Loan Modifications and Debt Settlement. Financial distress happens for a variety of reasons, and it is important to work with an experienced attorney to understand the options and protections afforded to individuals under the law. Do not become a victim of the economy. Our mission is to create a responsive, client-friendly law firm dedicated to helping individuals and families obtain debt relief. Our job is to guide you to a new and better life because everyone deserves a fresh start. Take your first steps to financial independence today. As the housing market in California has collapsed and the overall economic crisis has devastated people's earning capacity, we have assisted many people in resolving their debt, keeping their property and gaining financial independence. At Sternberg Law Group, we offer big firm experience with smaller firm service. We offer a casual and accepting environment, and do not judge our clients, regardless of the life events that bring them to us. We understand our clients are in distress and we pride ourselves in reducing their stress and allowing them to make the right decisions. You will be personally matched with an in-house attorney. We make it our number one priority to communicate the progress on each case and consistently discuss the needs and wants of our clients. We want you to feel totally comfortable about the process, understand exactly how we can help you, and be confident that you are working with the very best people. By focusing only on your financial issues, we can offer real solutions such as Bankruptcy and Home Loan Modifications. We offer payment plans and competitive rates so you can get the help you need now without worrying about your current cash flow or disposable income. Personal Bankruptcy The U.S. bankruptcy code is specifically designed to offer protection to people who are suffering under mountains of debt, being harassed by creditors and facing home foreclosure. State and Federal bankruptcy laws, when skillfully utilized, can help solve the most challenging financial situations. An attorney at Sternberg Law Group will carefully explain the many options available to you in a free consultation and apply these laws to your greatest benefit giving you the immediate debt protection you need now while helping you find the best path to a financially stable future. Learn More Foreclosure Assistance In response to the economic slowdown, the major lenders/banks and government are working together to save people's homes by 'Åreworking'Â their current mortgages into an agreement the homeowners can afford. This process is often referred to as a 'ÅLoan Modification. 'Â The ultimate goal is to make the loan affordable for the homeowner in the long term. Usually, loan modifications come in the form of rate reductions, fixing the interest rate, extending the term of the loan and reducing principle. With hundreds of overnight Loan Modification businesses popping up all over the country, the mortgage crisis has opened the flood gates for scam artists and quick money gimmicks. Many people in the process of trying to save their home wind up losing thousands of dollars and their homes, an intolerable double blow. Many of these firms charge homeowners just to push paperwork to your lender. Protect yourself by hiring a licensed professional. Walking Away / Short Sale As the mortgage crisis grows worse and the number of foreclosures continues to rise, homeowners are taking measures to rid themselves of their homes and to free themselves from having to make mortgage payments. If you bought during the peak of the real estate market, the value of your home may have decreased anywhere from 10 to 40% or more. If this is the case, you are most likely losing money by remaining a homeowner. As a result, many are making a sound financial decision by choosing to 'Åwalk away'Â simply because their home is worth so much less than what they paid for it. This is called a strategic foreclosure. Here are a few questions to go over: Are you stressed out about your mortgage payments? Do you have little or no equity in your home? Have you had trouble trying to sell your house? Is your home sinking under the waves of the real estate crash? What if you could live payment free for up to 8 months or more and walk away without owing a penny? It is important to contact a qualified attorney to discuss potential consequences of 'Åwalking away'Â from your home. Consequences vary case-to-case. However, in California the law is generally favorable to the homeowner/borrower. By focusing only on your financial issues, we can offer real solutions such as Bankruptcy and Home Loan Modifications. We offer payment plans and competitive rates so you can get the help you need now without worrying about your current cash flow or disposable income. Sternberg Law Group has successfully saved many homes from the brink of foreclosure and received successful modification terms allowing homeowner to retain their property while shoring up their personal finances. Sternberg Law Group has received reduction in interest rates (from 2% - 5%) on first mortgages with Bank of America, Wells Fargo, Chase, Citi Mortgage, One West, IndyMac, GMAC, First Horizon, Saxon, American Servicing Company, Ocwen as well as other loan servicers. We have also successfully received principal reductions (ranging from $25,000 - $350,000) on first mortgages as well increased the terms of modified loans to 40 year loans. All of our successful loan modification clients find themselves with a lower, more affordable mortgage payment fixed over time. We have also successfully settled many second mortgages for a fraction of the total principal balance due (from 5% - 35%) allowing homeowners to distinguish the lien on their property as well as negotiated many successful short sales allowing homeowners to get out from under hundreds of thousands of dollars in debt while avoiding foreclosures. Our services and successes also extend to the successful discharge of many creditors via the Bankruptcy Court. We focus on Chapter 7 and Chapter 13 depending on the clientÃ¢â¬â¢s needs and personal outlook. At Sternberg Law Group, we offer big firm experience with smaller firm service. We offer a casual and accepting environment, and do not judge our clients, regardless of the life events that bring them to us. We understand our clients are in distress and we pride ourselves in reducing their stress and allowing them to make the right decisions. You will be personally matched with an in-house attorney. We make it our number one priority to communicate the progress on each case and consistently discuss the needs and wants of our clients. We want you to feel totally comfortable about the process, understand exactly how we can help you, and be confident that you are working with the very best people. 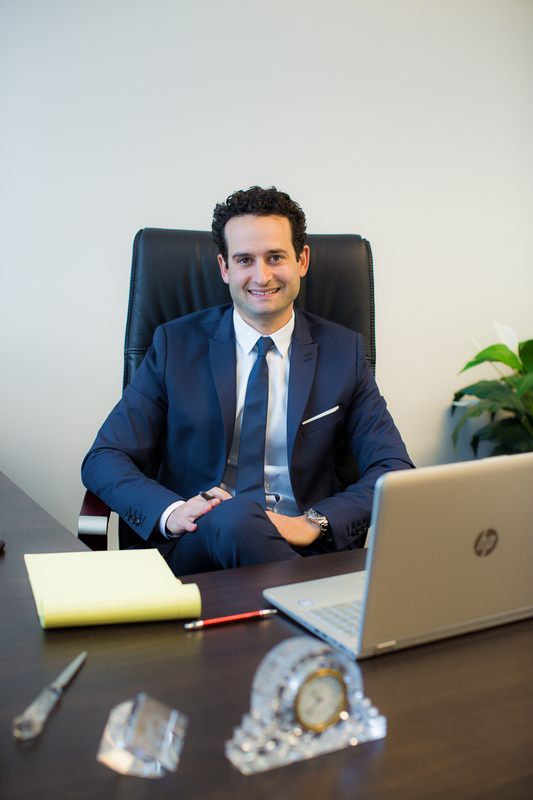 Joshua Sternberg, Esq., a highly motivated, engaging attorney, started his own law practice, Sternberg Law Group. Mr. Sternberg brings with him a broad understanding of business and legal issues. He owned and operated his own media-based company for five years, and provides his clients with superb interpersonal skills and hands on approach to advocating for their needs. Sternberg Law Group is dedicated to helping people cope with today’s harsh economic climate. 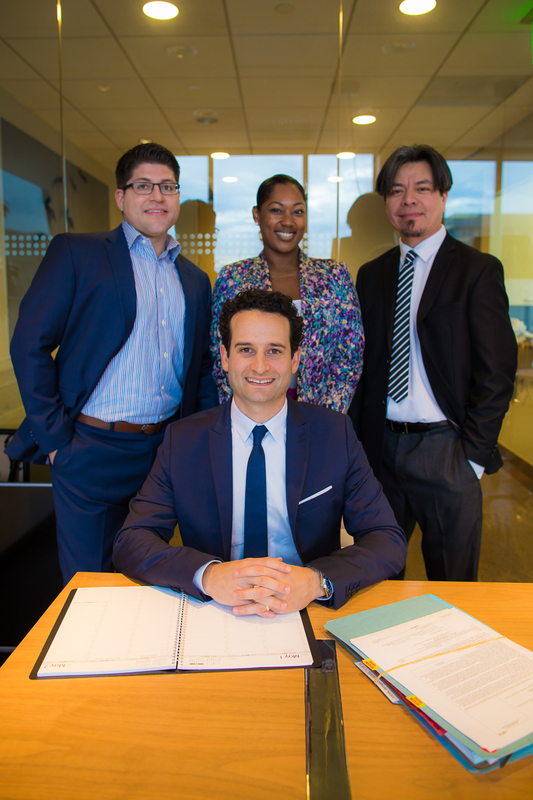 Sternberg Law Group focuses on assisting individuals and small business with bankruptcy petitions and helping homeowners obtain loan modifications. Bankruptcies and loan modifications are effective legal tools in dealing with surmounting debt and economic hardship.